Drop the Ink started on May 18th , 2017. Our studio has clean, trendy and friendly environment. 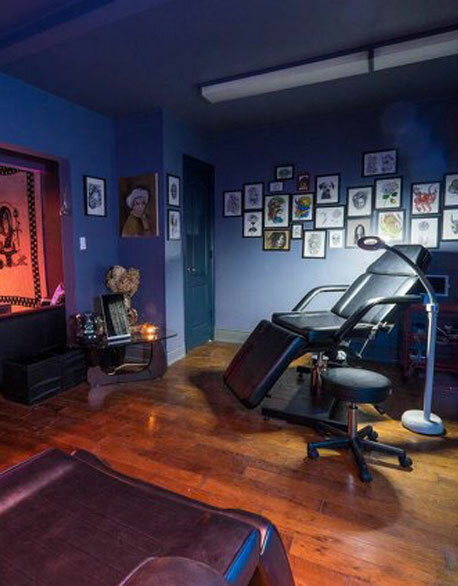 Drop the ink Tattoo studio is municipally licensed, and regularly inspected by Toronto Public Health on a regular basis. All disposables, inclusive of needles, tube tips and protective barriers are prepackaged, pre-sterilized and are single use only. Our talented and experienced tattoo artists work in various types of tattoo style including realsim, tribal, and more, to meet customer’s expectations, give them high-quality and customed-only-for-you tattoos. Also, we offer extraordinary customer service in English and Korean.